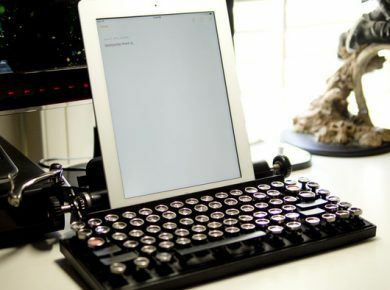 Typing anything more than a word or phrase on your tech device can be painful, which is why wireless Bluetooth keyboards continue to grow in popularity. 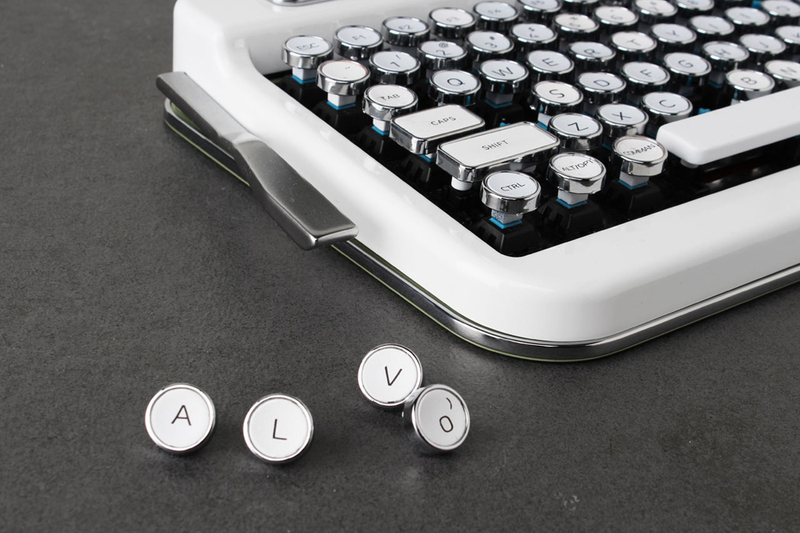 Elretron is set to launch their very own version, known as PENNA, with a vintage typewriter spin, and despite its retro look, it’s anything but antiquated. 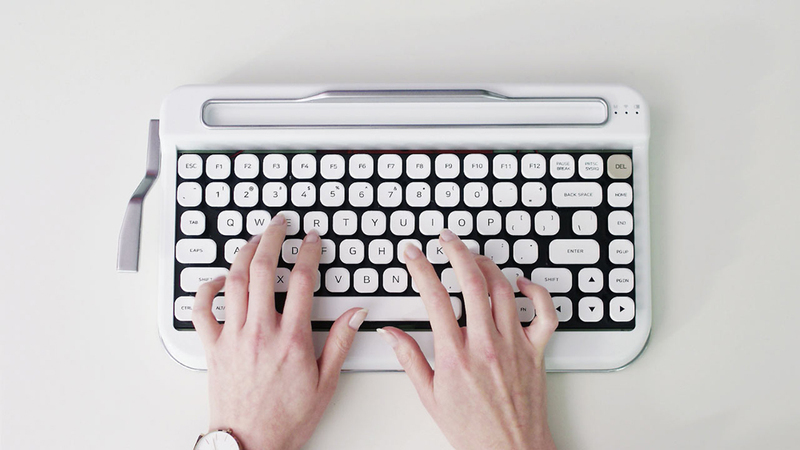 Besides functionality, PENNA aims to provide a stylish design you won’t mind leaving out on your desk or table. 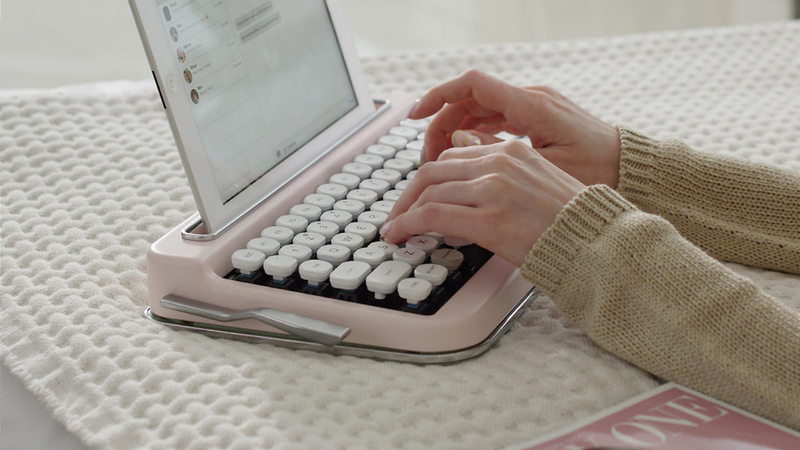 Three years in the making, PENNA offers the feeling of a mechanical keyboard with keycaps that let you know if you actually typed that letter or not, helping to reduce mistakes. 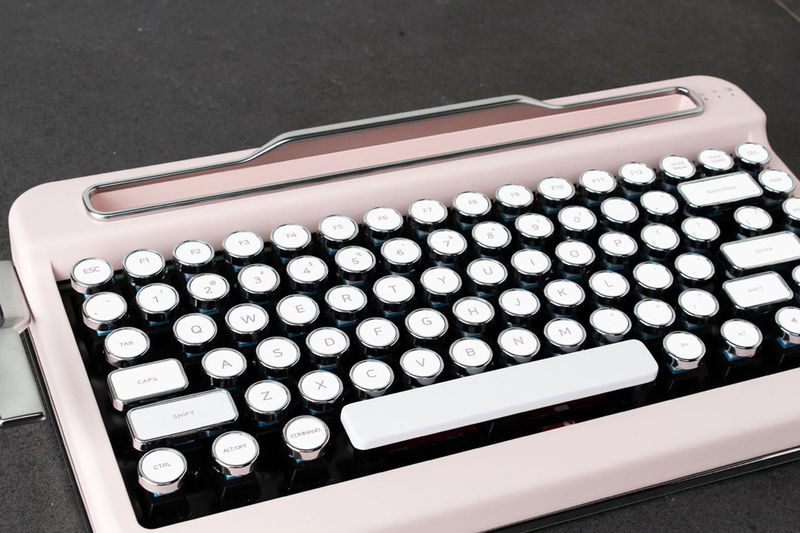 The keyboard will be available with either Diamond Shape Keycaps (rounded corners give a smooth feeling and aim for more accurate typing) or Retro Chrome Keycaps (more like an old typewriter), depending on your preference. 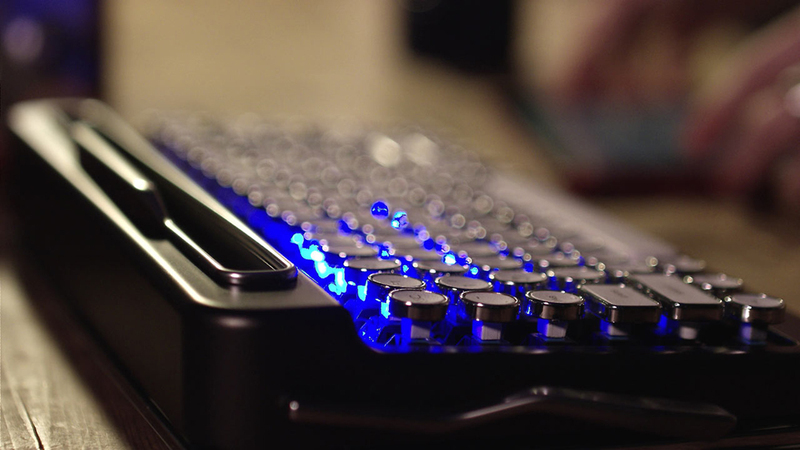 The keyboard layout is a standard QWERTY setup but with added features to adjust volume, brightness, etc. The macro bar on the left makes for easy saving of often used words, sentences, or keys that you can recall by pressing the bar one time. PENNA is designed to work with most Windows, Android, and iOS devices making it a great option for those looking to ease hand cramping. 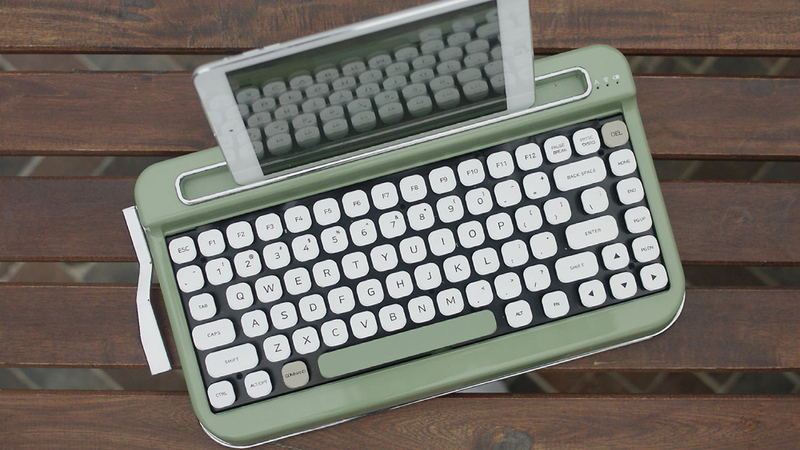 It will be available on April 6th via Kickstarter in either Matt Black, Baby Pink, Olive Green, or Pure White.